House périgordine charming and completely restored. 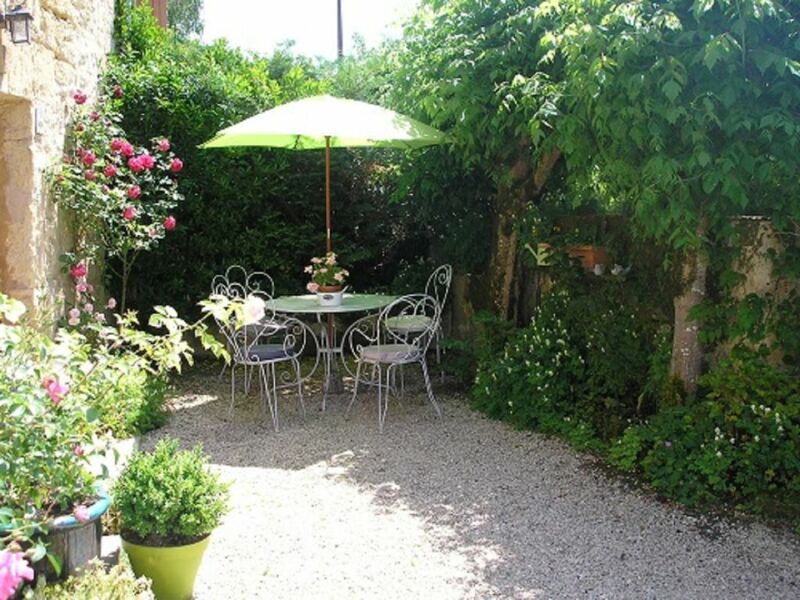 Located in the village of Les Eyzies on the banks of the Vézère with elegantly flowery courtyard. This house overlooking the river, includes a kitchen living room with TV, MW, coffee maker; 2 bedrooms (1 double bed, 2 single beds); 1 bathroom with shower toilet and washbasin and washing machine; 1 courtyard with garden furniture and barbecue; as well as a private parking space in front of the courtyard gate. We had a great week here. There is a nice small garden where you can enjoy meals cooked in your own kitchen. The bed is small, really a double, with two singles upstairs. There is no WiFi, you have to go to the Tourist Offuce for that. If you’re not used to French appliances, then we wrote instructions in english to help you figure them out. All in all, a wonderful place to stay in Les Eyzies! We stayed in this charming house ,the garden was a lovely place to sit ,any time of day or night. The beds comfortable, and the little house quaint. We loved it . Would stay again if down that way. Small living area but all one needs for traveling. 2 bedrooms and modern bath. Very convenient to town and there's a park on the river just steps away. Had a great stay. Didn't want to leave. Maison traditionnelle pleine de charme, restaurée et décorée avec goût. Situation idéale au bord du chemin de promenade de la Vezère, vue magnifique, sympathique courette fleurie . En plein centre du village. Accueil chaleureux et diligent. Envie d'y revenir ! House located in the center of the village close to shops and prehistoric sites.